It is super easy and cute! Wanna know the best part? It's free! I say free assuming that even the most beginner crafters like myself have various ribbon and pieces of scrapbook paper lying around. Families throw hundreds of these away every year! Why not save a few and make something useful out of them? Not to mention, when birthdays and Christmas come around, you're always looking for a small box for the little gifts like jewelry and money! I got the original idea from the blog Sweet Charli. Fold one end of your cardboard tube in. Think like you're trying to close one of those paper coin rolls from the bank. Fold in the other half. Secure it down with hot glue or tape. When you've got that locked down, wrap your gift in a small amount of tissue paper and stick it inside. Fold and secure the open end of the tube the same way as the first one. Now decorate them however you wish! I used an extra piece of scrapbooking paper from another project and wrapped it around, securing it with hot glue. I also used a small length of ribbon my husband had saved from a gift he received. The man knows me. For this one I used a thicker piece of the same scrapbook paper and different ribbon. I just switched the directions of the ribbon and paper from the previous box. 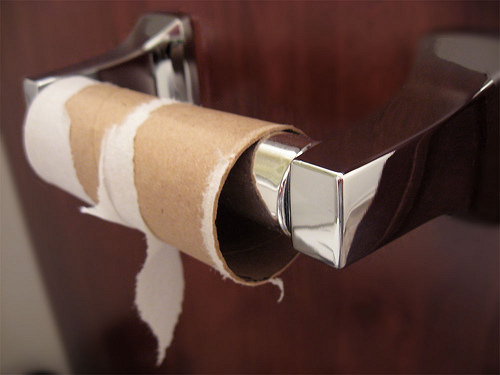 If you don't want it to be as obvious that it's a cardboard tube, just wrap the whole thing in scrapbook paper. Chances are people won't even notice! Generally people are more focused on what's inside! Are you the crazy one in the family who snatches up all the empty gift bags and tissue paper after Christmas? I know I am! No sense in throwing away good bags and tissue paper that can be reused! What are some other unique ways that you like to wrap gifts? I've linked up to Pinworthy Projects #80 with Just Us Four, Atkinson Drive, and Planned in Pencil! 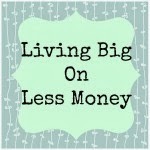 I've linked up to Living Big on Less Money with Feeding Big! Cute gift box. I like this design very much. Oooh! I love a good use for toilet paper rolls! Perfect for a small gift! 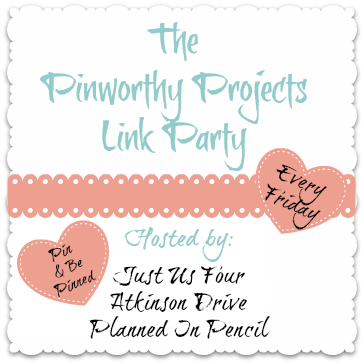 thanks for sharing it at the Pinworthy Project Party! This is excellent gift box.